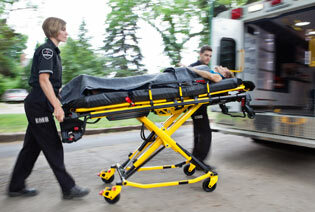 RC Health Services is the leader in Pre-hospital EMS Training. Established in early 2009, our programs have trained well over 10,000 people in Emergency Medical Services & American Heart Association courses. Graduates from the EMS Academy have obtained jobs in all phases of Pre-hospital Emergency Care with confidence in their skills and abilities. The Paramedics at the Academy bring with them a long history of real life experiences in the emergency field, bringing the students actual case scenarios during their courses. The EMT Basic Course and the Advanced/Intermediate EMT Course is given on an ongoing basis throughout the year. Our courses include the most up to date material and are available during the day, weeknights and on weekends. Upon graduation, our students are highly qualified for employment in the pre-hospital profession and are highly sought after by employers. 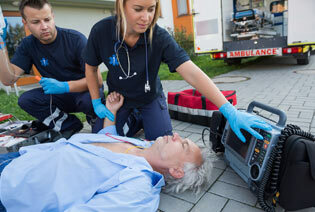 RC Health Services offers EMT Basic courses in both traditional and on-line formats. If you're looking for quality preparation for the National Registry exam then RCHS is the school for you. Go to the bottom of the page and click on the city nearest to you to find out more information on our traditional course program. The RC Health Services EMT Online Course is the most popular method for the busy working individual to attain their EMT Basic certification. To find out more information on our EMT Online training please click the Online EMT course button.